November 7, 2014 By This post may contain affiliate links. 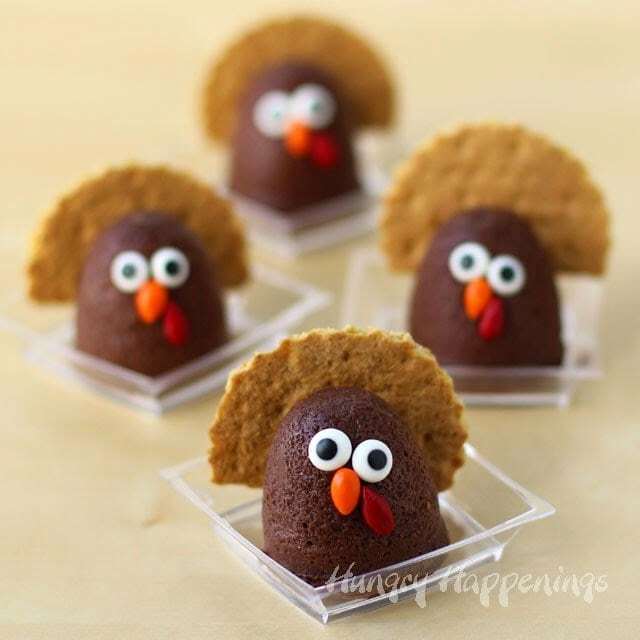 Create these decadently rich and creamy Mini Chocolate Cheesecake Turkeys. 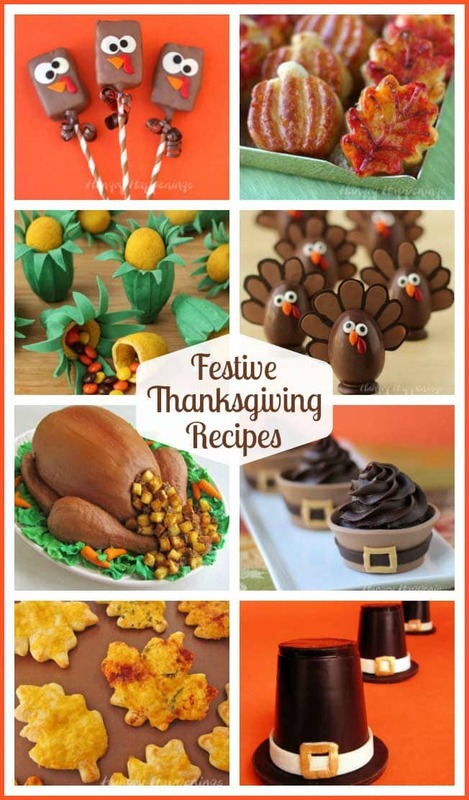 They will be a great addition to your Thanksgiving dessert table and will make your guests gobble for more. 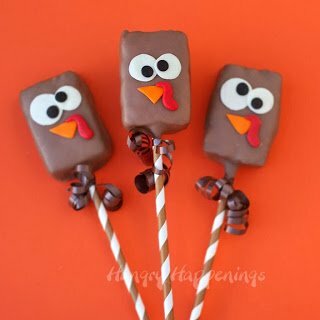 I had so much fun recently making Chocolate Turkey Truffles and Cheesecake Ghosts that I morphed the two ideas into these Mini Chocolate Cheesecake Turkeys for Thanksgiving. 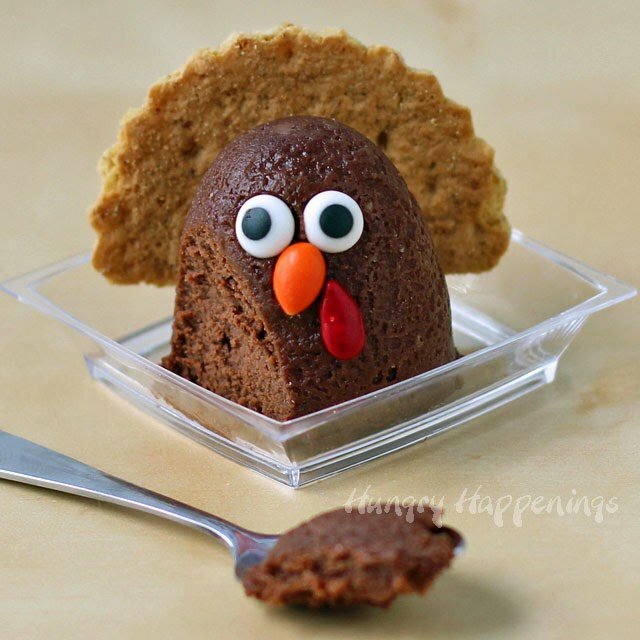 I took concepts from both recipes and combined them to make one adorable and decadent chocolate Thanksgiving dessert. Each tiny little cheesecake is so lusciously rich that a little goes a long way. 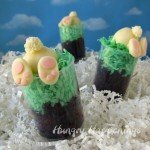 They are the perfect size sweet treat to serve after a huge holiday meal. It’s easy to see the resemblance in these holiday desserts. I tried to keep these cheesecakes simple, as I know how crazy it is getting a Thanksgiving day meal prepared. 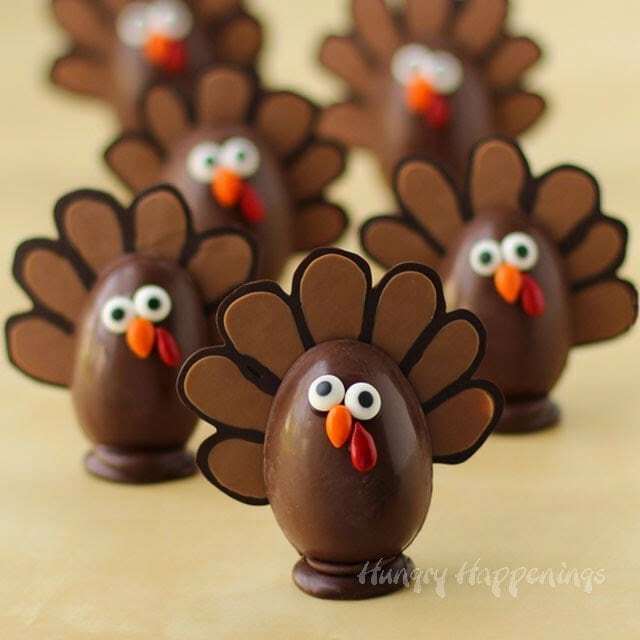 Each miniature chocolate cheesecake is decorated with a graham cracker tail feather, two candy eyes, an orange candy coated sunflower seed beak and a red sunflower seed waddle. 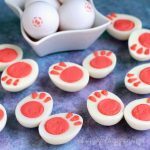 To make my cheesecakes extra special I used Eggland’s Best Eggs. I can always count on EB eggs to be really fresh and flavorful. I love cracking open and egg and seeing a vibrantly colored yolk and clear egg white, which is what I find inside Eggland’s Best Eggs. 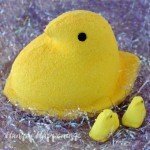 I am excited to be teaming up with Eggland’s Best this holiday season for a fun giveaway. After you finish reading the recipe, you’ll find details for entering to win two coupons, each valid for a free carton of EB eggs plus a $25 Visa gift card. One lucky winner will get their prize just in time to do some holiday baking of their own. Cheesecake made with really fresh ingredients will keep well in the freezer for several months or in the refrigerator for 5 days. 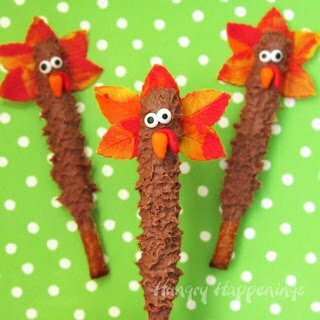 So you have plenty of time before Thanksgiving to get some of these made. Just thaw the cheesecakes in the refrigerator the day before you want to serve them, and decorate them that day.I actually did an experiment and decorated these and kept them refrigerated for 4 hours. They looked perfect when they came out. So, you can get these ready ahead of time and set them out for dessert. Preheat oven to 325 degrees. Butter the cavities in your molds. Heat heavy whipping cream and chocolate on high in the microwave for 20 second intervals, stirring after each, until melted. Set aside to cool slightly.Beat cream cheese until smooth. Add sugar and beat until light and fluffy. 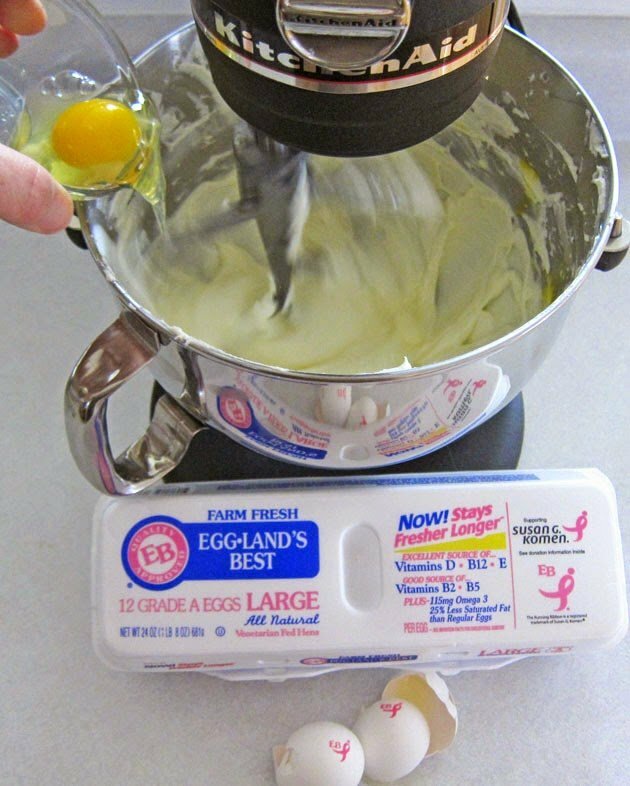 Add Eggland’s Best Eggs, one at a time until well incorporated. 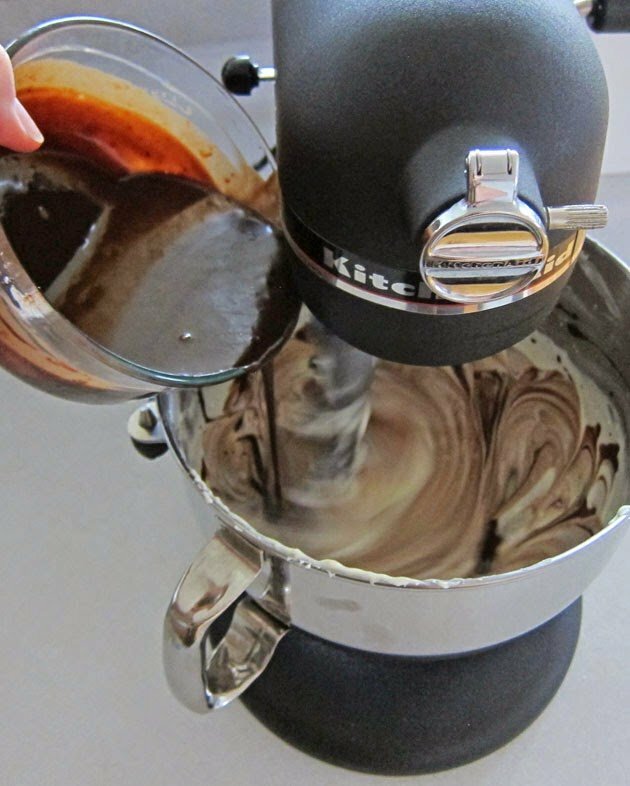 Add the vanilla then pour in the chocolate and beat just until combined. 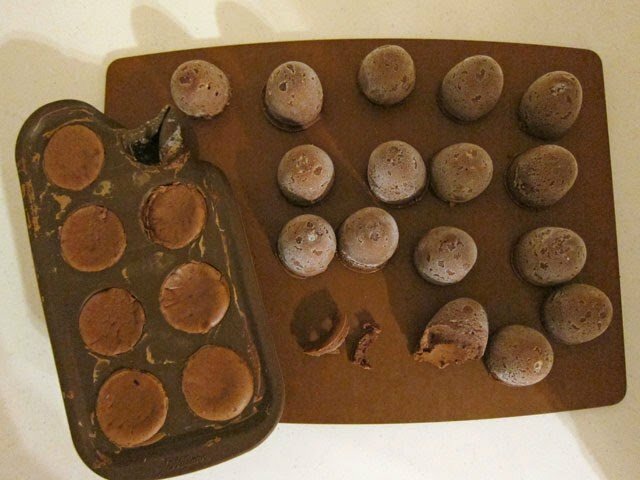 Set the silicone molds on a baking sheet. Pour the chocolate cheesecake filling into the molds. Bake for 22 minutes, then turn the oven off, open the oven door, and allow the cheesecake to remain in the oven for 10 minutes or until they look set. Remove them from the oven and allow them to cool completely. 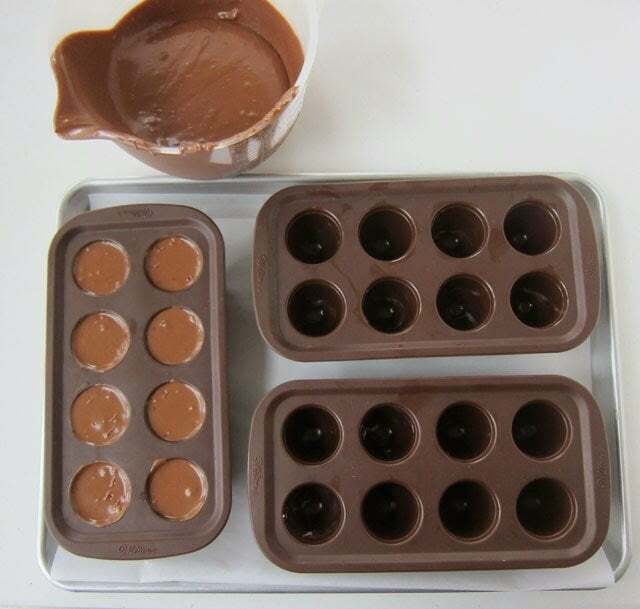 Pop them in the freezer for at least 4 hours. I tried to remove one too soon and tore it apart. I stuck it back in and removed it later when they were frozen solid. 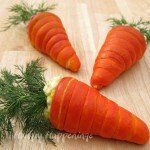 Once removed, put them on small individual serving dishes and allow them to thaw. 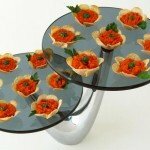 I used plastic appetizer plates that I got at a party supply store. Once the cheesecakes thaw they will be hard to move. 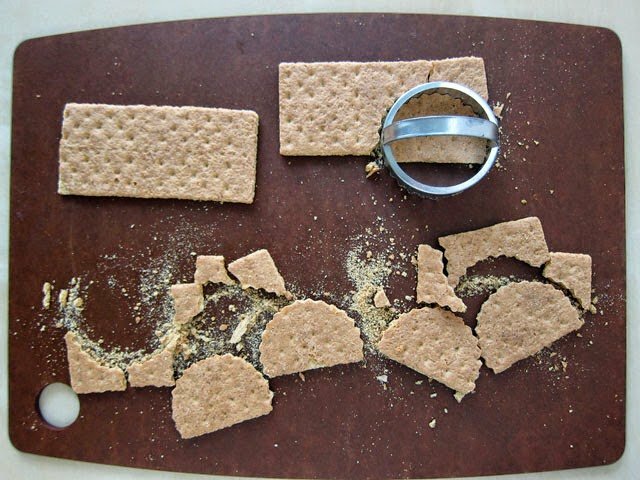 If you can’t find small plates, you can place each cake on a small round cookie or cut rounds from graham crackers. At this point, you can store the cheesecakes in the refrigerator for up to five days or put back in the freezer. 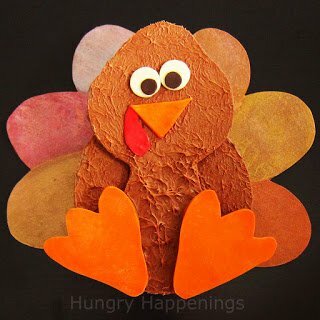 To make the turkey’s feathers, use a fluted biscuit cutter and simply press down onto the graham cracker and they will cut. Cut out about 3/4 of the circle. 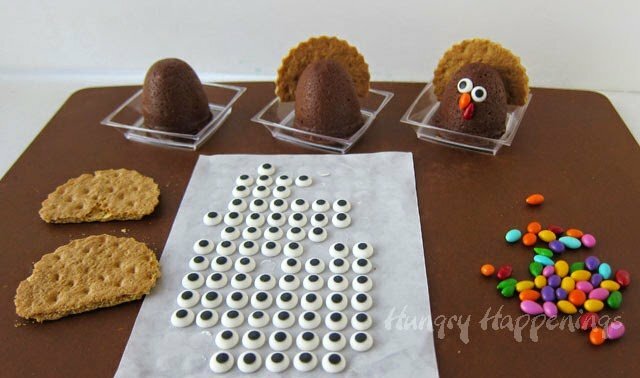 When you are ready to decorate, press one tail feather onto the back of each cheesecake then add two candy eyes, one orange sunflower seed beak, and one red sunflower seed waddle. Do not decorate frozen cheesecakes. 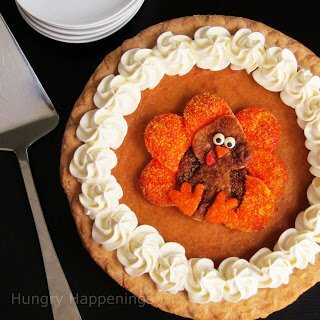 You can decorate your cheesecake turkeys up to a few hours before serving. Keep refrigerated. Set them out at room temperature for at least 15 minutes before serving to intensify the chocolate flavor. I was compensated by Eggland’s Best for creating this post. I don't really like cheesecake but i make it for my family. I think they all seem to like Chocolate and Raspberry though. I love blackberry cheesecake, it's so good and pretty too! I actually like plain cheesecake the best. But honestly, I've never met a cheesecake I didn't like. 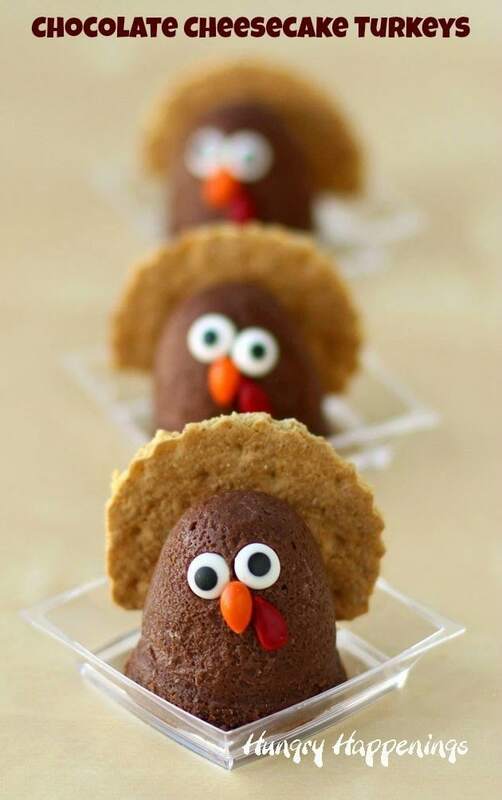 Of course you made adorable, yummy cheesecake turkeys with graham cracker feathers. And I LOVE chocolate cheesecake, big surprise huh? I like plain cheesecake, original is the best. I like chocolate flavored cheesecake. My favorite cheesecake flavor is the original. I would have to say blueberry cheesecake because it's very yummy. I LOVE cheesecake, plain, strawberry, caramel, not so much chocolate. Honestly? I bake a LOT of cheesecakes, used to do it as a living. I prefer a plain cheesecake – NY style is my fave – that's not too sweet. I might add a bit of fruit sauce, but that's how I roll. 😀 Thanks for the giveaway! 🙂 Be BLESSED! 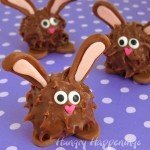 your recipe is too cute! thank you for the cool idea & for the chance to win! 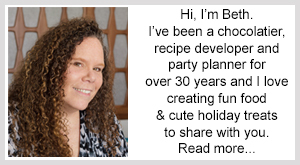 I love cheesecake, and love making it for special occasions. I don't have any one favorite, I love them all. But during the holiday season, I love peppermint cheesecake. 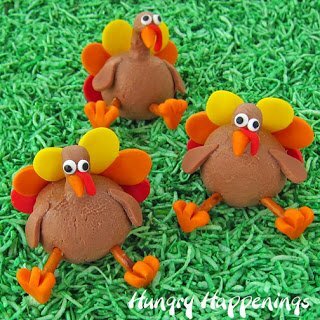 Those are adorable turkeys!! !